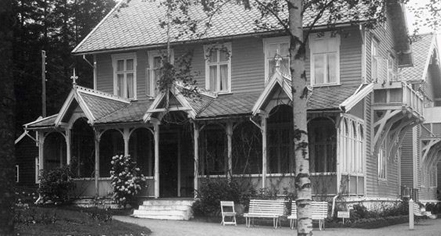 Built in 1896 by ship owner Christian Michelsen, who would become Norway's first prime minister after gaining independence from Sweden in 1905, Solstrand Hotel & Bad has entertained and accommodated travelers both near and far for over a hundred years. 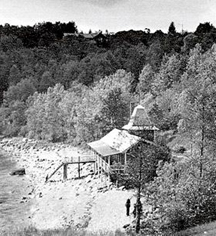 Michelsen originally designed Solstand as a holiday retreat for Bergen merchant princes to gather strength and ideas. The fresh air and proximity to nature's wonders stimulated productivity and inspired creativity. Michelsen sold the hotel in 1908 and had several owners until the Schau-Larsen family bought it in 1929. Four generations later, the Schau-Larsen family continues to take great pride in extending warmth and hospitality to Solstrand’s guests. Restoration and extension have expanded Solstrand’s offerings without compromising its charming traditional character. Situated in a rich cultural and natural landscape, the hotel remains as a choice destination to explore Norway's beautiful environment in a calm and relaxed atmosphere.